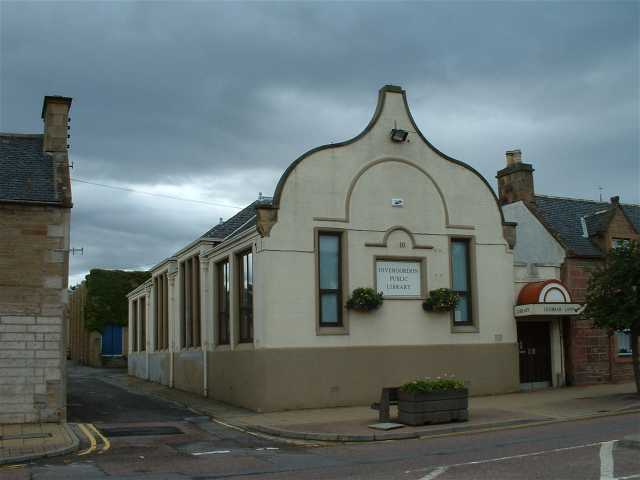 This building in the High Street was the addition built to the Higher Grade Department of the original Invergordon Academy. The building behind is Park School gym which replaced the Higher Grade Dept. building (see picture #169). The end classroom here was where "Lofty" MacMillan (my favourite teacher) took English. I remember sitting in this room in 1956(?) listening to American trucks bombing up and down the High Street as they unloaded masses of material during some Cold War crisis. Yep. You're right, Harry, it was MacFarlane. I realised this as I was lying in bed the other morning. His wife (Tich) was a wee bit snooty but also very serious about her job. I guess I liked Lofty as he used to praise my work - not something that happened with other teachers. I remember Lofty had very hairy backs to his hands and I found this a bit creepy but the joke's on me as I have them now!